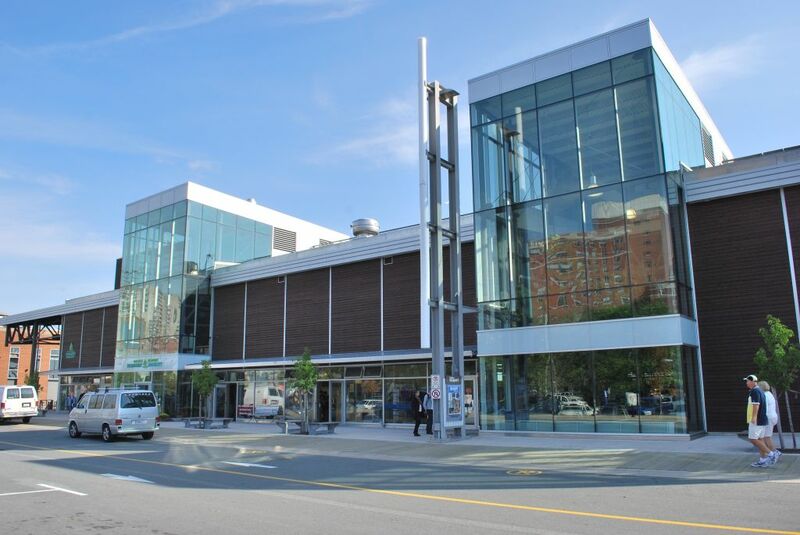 The Halifax Seaport Farmers’ Market is the longest-operating market in North America; now, it is also becoming one of the greenest, when it comes to energy use. Designed by Lydon Lynch Architects, the 5109-m2 (55,000-sf) facility has been certified Platinum under Canada Green Building Council’s (CaGBC’s) Leadership in Energy and Environmental Design (LEED) program. Located in the Halifax Port Authority’s Seaport District (which also includes the city’s cruise ship terminal), the market opened in 1750. When the original facility was outgrown, another building on the waterfront was renovated into today’s marketplace. The new structure was completed in 2010, and during the construction phase, 95 per cent of the site’s waste materials were diverted from landfills. 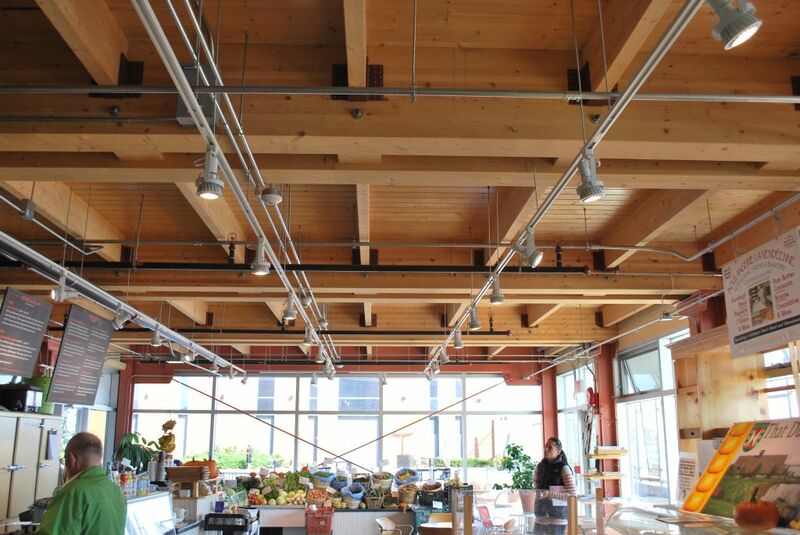 Most of the wood materials used in the facility are Forest Stewardship Council (FSC)-certified and were sustainably harvested and locally sourced. Additionally, the cedar cladding on the building’s exterior is Forest Stewardship Council (FSC)-certified as being sustainably harvested and locally sourced. Due to the market’s close proximity to the waterfront, a water-borne stain that is low in volatile organic compounds (VOCs) was specified for the wood cladding to protect it from moisture and environmental damage. Double-glazed argon-filled glass is also part of the exterior cladding assembly. The 1486-m2 (16,000-sf) vegetated roof contributes to the building’s water-conservation strategies. The rainwater harvested is used for non-drinking functions throughout the market and also cools the interior, eliminating the need for air-conditioning (AC). The roof includes 10 different species of the region’s native red and green sedum plants and hosts rooftop yoga classes, events, and musical performances. On the interior, radiant heating tubes, which reduce heating costs, were installed into the floor. The facility’s original concrete floor was removed and then crushed for reuse as back-fill gravel. Today, the market is continuing renovations in phases, beginning with its interior. Some of the changes include additional staircases and washrooms, a new central entrance, and the installation of garage doors to be opened during the summer months.